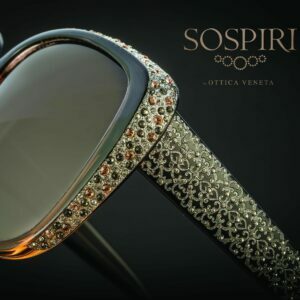 Sospiri eyewear represents the highest ideals of sophiticated luxury. From eyewear that can be worn almost everyday, to styles that should be reserved for truly special occasions. Created using the finest, authentic Swarovski crystals, Sospiri frames and sunglasses are sure to become one of your most treasured parts of your eyewear collection. Stop by soon at let us show you the beautiful frames that are the one & only Sospiri.